Property development has a history of being shaken up by unlikely projects. What was once an unusual occurrence, however, is now almost mainstream: football clubs adding residential property to their asset portfolios. Championship football club Queens Park Rangers (QPR) has recently secured planning permission to construct a £175m mixed-use development close to where they plan to build their new football stadium. The club, in conjunction with Genesis Housing Association have been given the go-ahead from the Old Oak and Park Royal Development Corporation to construct 605 new houses – of which 40% are listed as being affordable – together with a nursery, health centre and commercial space. Although the Oaklands development does not include the new QPR stadium itself, the exchange is obviously a step closer to obtaining planning permission for the rest of the ground, which has been hard to come by so far for the football club. They have allocated the land in the area – owned by Cargiant – to construct a stadium in place of its current home on Loftus Road, however its acquisition has so far been tricky. The plan has now been backed by the Mayor of London, Sadiq Kahn, who has said that the development symbolises a meaningful step in realising the huge potential of this part of London. 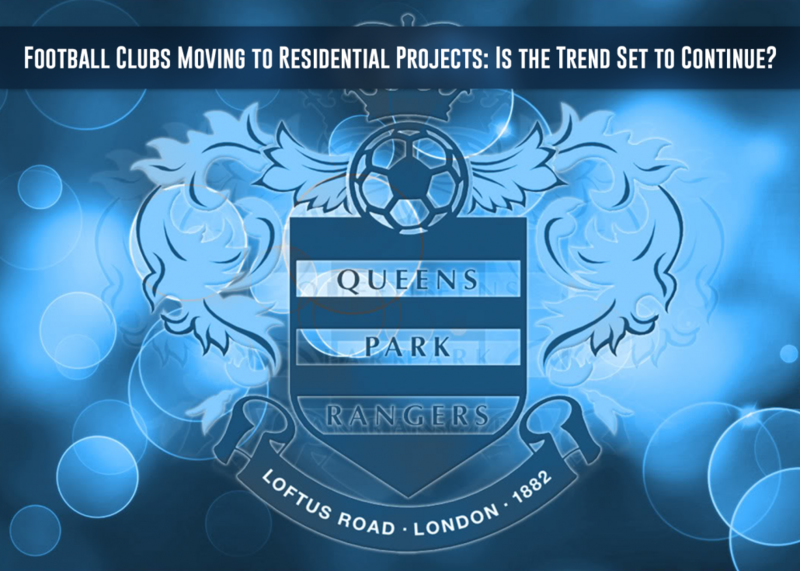 In addition to the obvious long-strategy that Queens Park Rangers seem to be implementing here, the move has also been highlighted by Tony Fernandes, Co-chairman of the club, to show QPRs commitment to helping improve the local area. He added that although the primary interest is to secure the future of the club through the development of a new stadium, QPR would only be able to deliver this by taking equity interests in a broader range of regeneration schemes such as Oaklands. Meanwhile, other clubs are also on the move: West Ham United’s migration to the Olympic Park has prompted the demolition of the vacant Boleyn Ground with over 800 new homes being planned for construction. The site is due to be handed over to developers Galliard Homes and Barratt London later this year. This general trend should hardly be a surprise to those in the industry. West Ham and QPR are following a financially smart model that has been proven to work for other clubs in the past. Perhaps the most successful of these non-traditional stadium developments happened when Arsenal relocated in the early 2000s and have seen the development of their previous stadium become one of the most prominent developments in North London.